Many Internet/NAT routers (and other devices) have a built-in function to update a dyndns service (a.k.a. "ddns") whenever the public IP address changes. 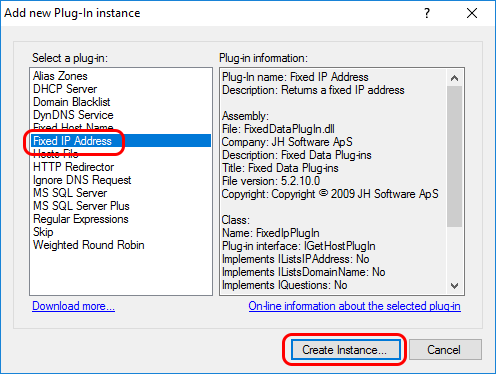 This is often hard-coded to use a few specific dyndns providers / update formats, and dyndns.org (Dyn.com) is typically one of these. 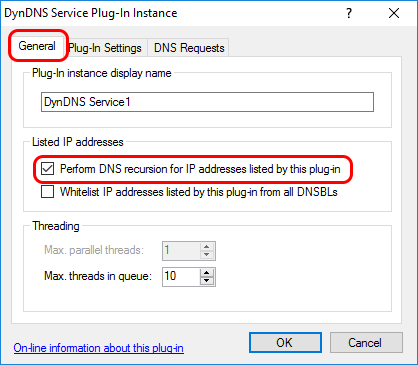 With Simple DNS Plus (on a public static IP address), you can run your own dyndns service and pretend to be dyndns.org (Dyn.com) - and have such routers update it. 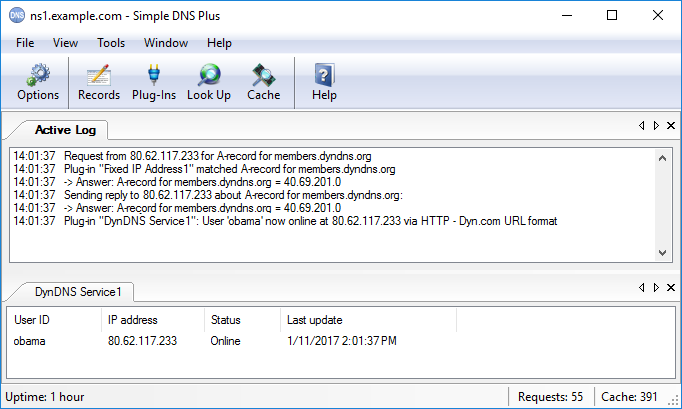 With many routers, the dyndns.org (Dyn.com) update URL host name ("members.dyndns.org") is hard-coded, and so you need to "fake" the IP address for this in order to intercept update requests from the router. 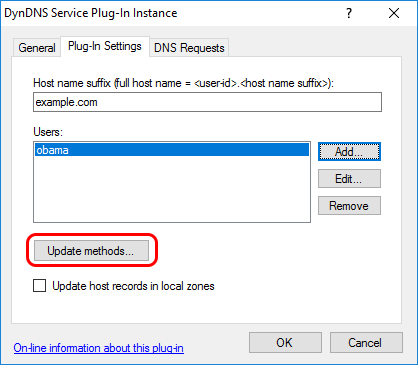 You can do this by configuring the router to use your own DNS server, and then have your DNS server point "members.dyndns.org" to your own server IP address - for example using the "Fixed IP Address" plug-in as described below. 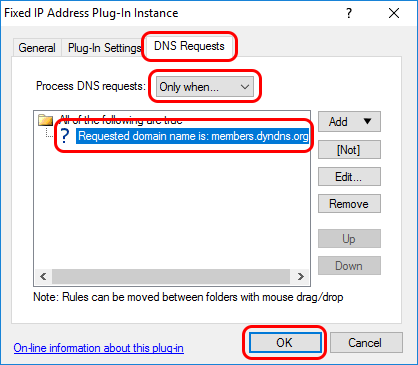 If your router allows you to specify the IP address of the dyndns server, then you should do so instead and skip the step below about configuring the router's DNS IP addresses. 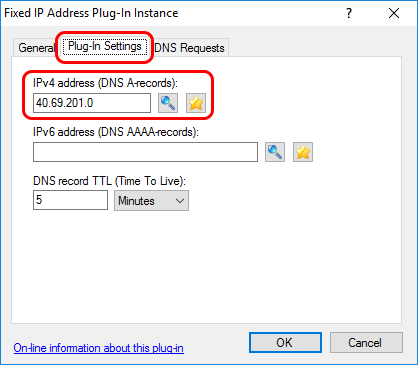 For the walk-through below, we have setup Simple DNS Plus on a computer with static IP address 40.69.210.0 and, in a different location, we have an ASUS RT-N56U Internet router in with a dynamic public IP address (80.62.117.233 at the time of this writing). On the firewall on / in front of the Simple DNS Plus computer, we have allowed UDP and TCP to port 53 (DNS requests) and TCP to port 80 (HTTP requests). 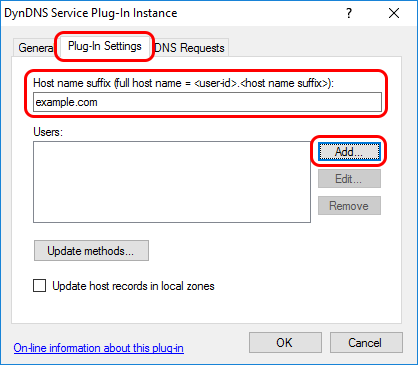 At the client site, configure your router to use the public IP address of the computer running Simple DNS Plus for DNS. 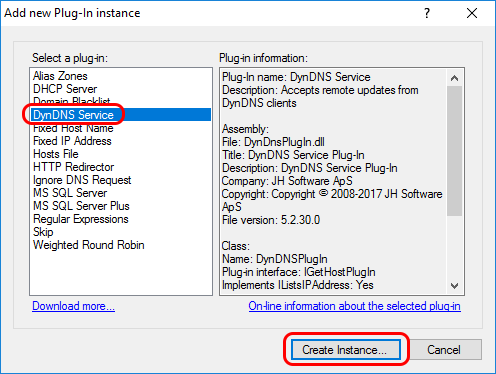 Configure your router to use the dyndns.org (Dyn.com) service using the user-ID and password setup in Simple DNS Plus above. 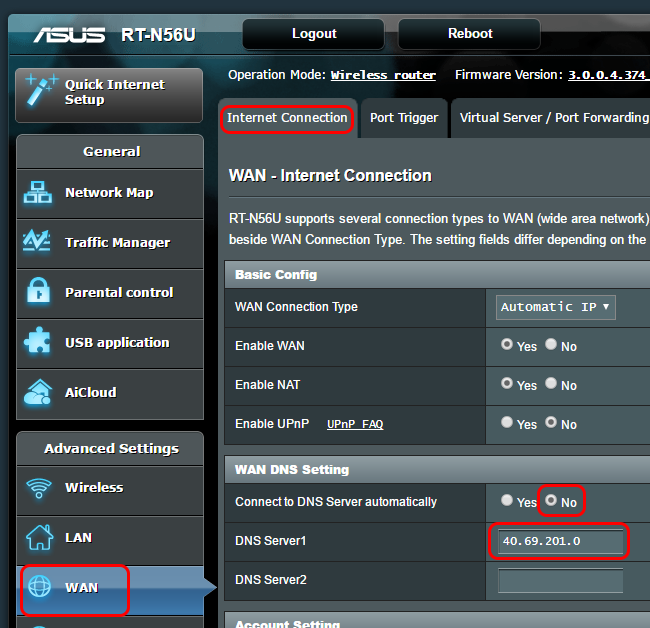 In our "ASUS RT-N56U" router, this is done in the "WAN" section, under the "DDNS" tab. 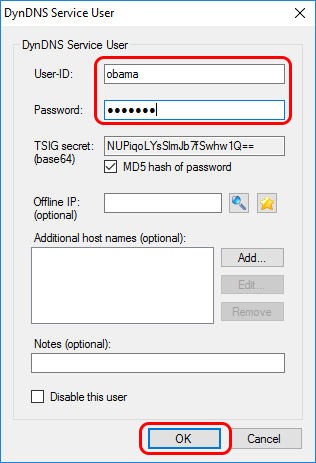 For above to work, the router must use the dyndns.org (Dyn.com) "Legacy Authentication URL". All routers that we have tested with so far do this. 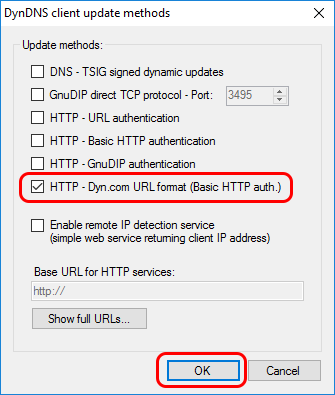 However in addition to the "Legacy Authentication URL", dyndns.org (Dyn.com) also provides another (newer) update URL which uses SSL (https://...). The specification for both URLs is available at https://help.dyn.com/remote-access-api/perform-update/ . So some routers may use the newer SSL version. It would not be possible to intercept such requests as this would require the private key of the SSL certificate for "members.dyndns.org".